Every student comes to LBC wondering what campus life will be like. This is the core of your college experience – where you live, study, work, and serve God side-by-side with other Christian students. 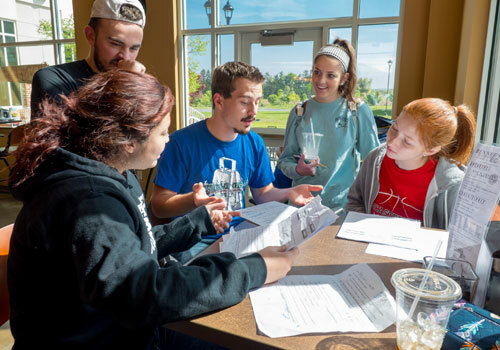 Find out about all the aspects of daily life at LBC – from housing options to meal plans to places to study or socialize if you are commuting. Whether you are an undergraduate or an adult learner, you will find your time on our campus truly transformational. We encourage you to make the most of it! Join a musical group. 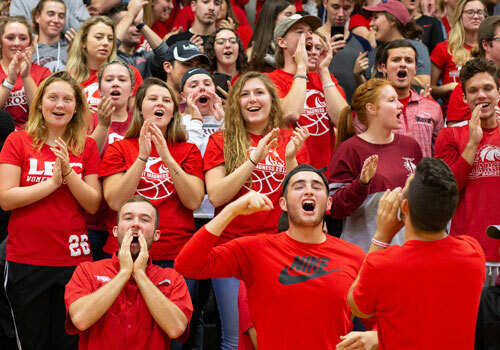 Sign up for one of our NCAAA sports teams or intramural teams. Participate in a student-run organization or club. The more invested you are in campus life, the more prepared you will be to answer your calling. Beyond the classroom, you’re probably wondering what life will be like at LBC. Where will you live? Eat? Gather with friends? What are my Chapel requirements? Are there intramural sports? Clubs? How about a gym? You’ll find most of the answers here, along with a directory of area businesses and attractions. At the Teagure Learning Commons, get access to valuable resources like the library and the Ally Center. The Ally Center is located on the top level of the TLC and houses Academic Mentoring Services, the Writing Center, Math Lab, and the Disability Services Office. The college provides all of these opportunities at no cost to currently enrolled LBC students. Explore activities and events in Lancaster city and out in the beautiful countryside.